I definitely do not need another brush set but I keep seeing this around and I have always been curious about the BH Cosmetics brushes. 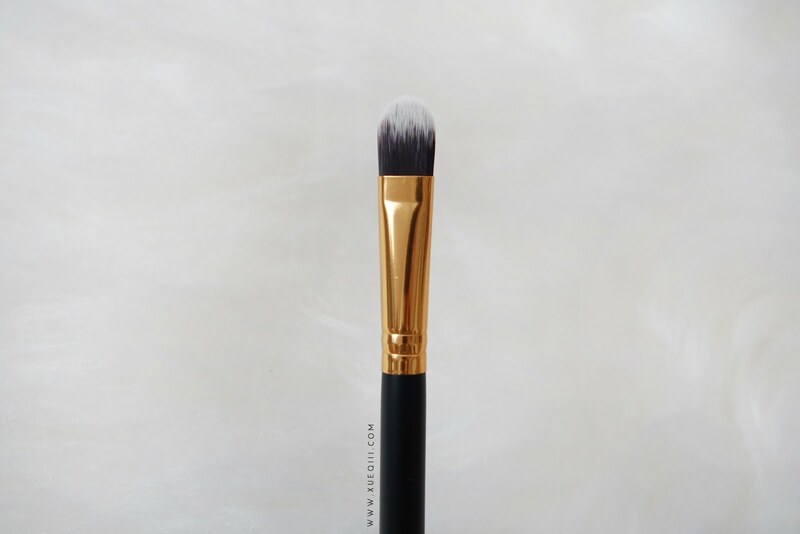 They look so soft and nice. Wasn't too intrigued by their first Sculpt and Blend set as it is very similar to the Sigma Kabuki Brush Set that I already own. 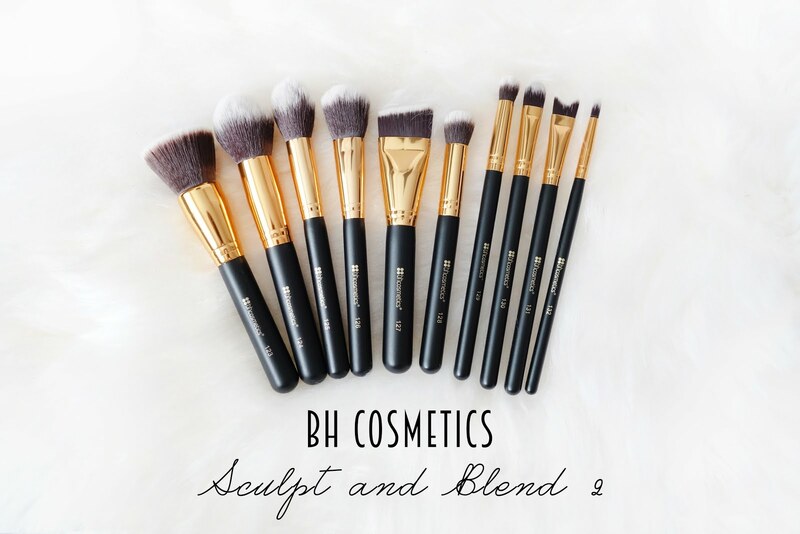 I purchased the Sculpt and Blend 2 - 10 Piece Brush Set with both face and eye brushes. 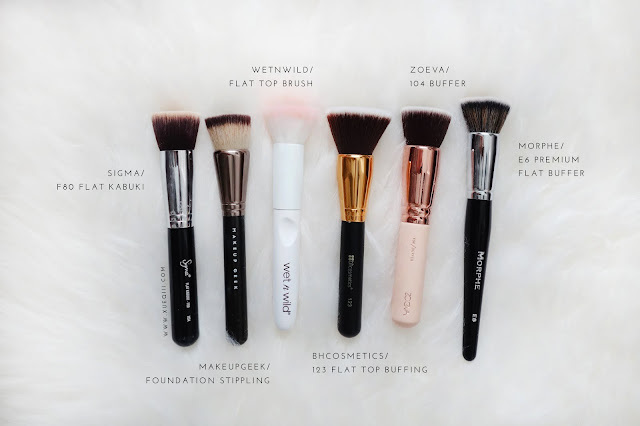 Here's all the 10 brushes in the set and I am so glad I got them! 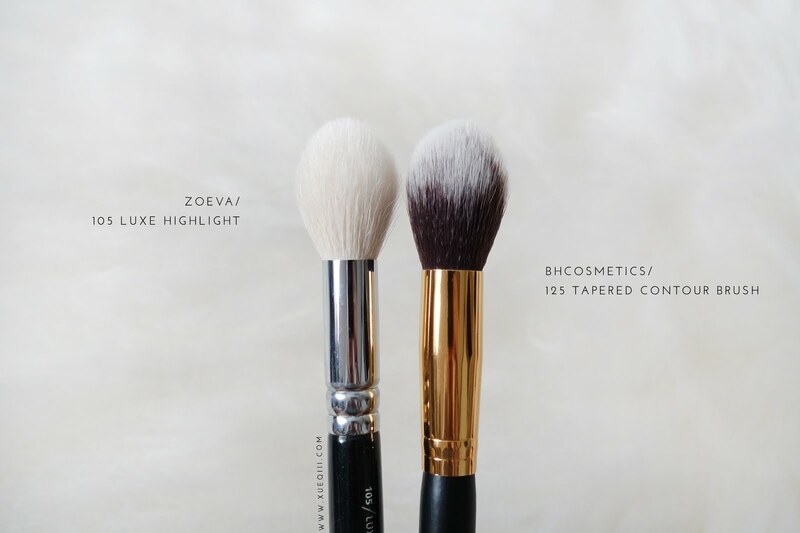 They are all so soft and made with synthetic bristles. They reminds me so much of Sigma's synthetic brushes. 123 Flat Top Buffing Brush is a large flat top foundation brush. 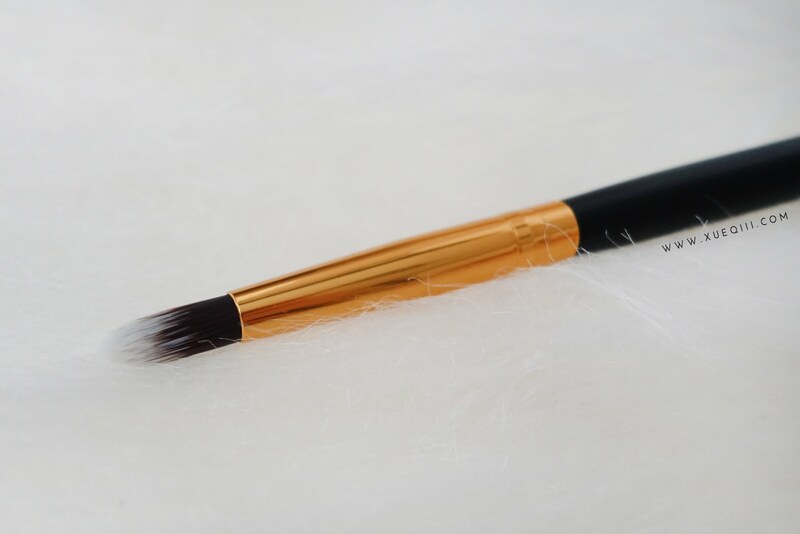 It is very soft and not too dense, so it does blends out the foundation more sheer that the typical flat top brushes. It does not leave streaks and foundation looks very nicely blended. Here I have included all the other similar type of brushes I own. 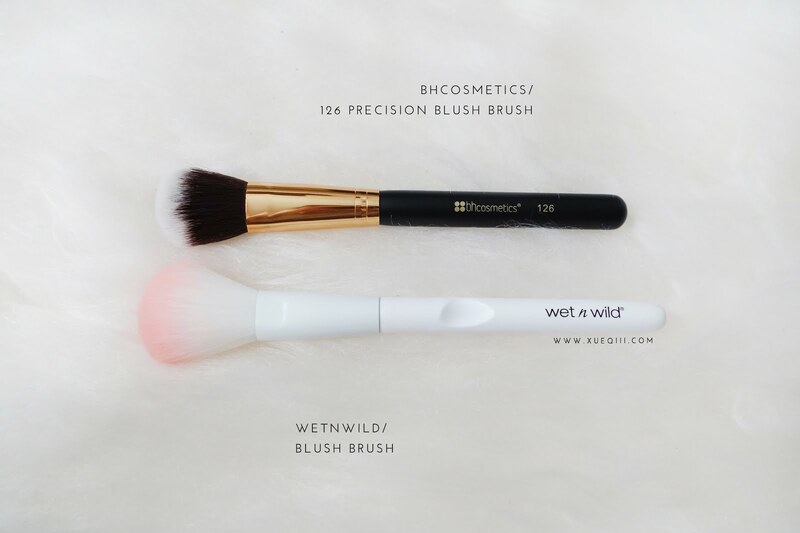 This is more similar to the Wet n Wild and Makeup Geek ones. 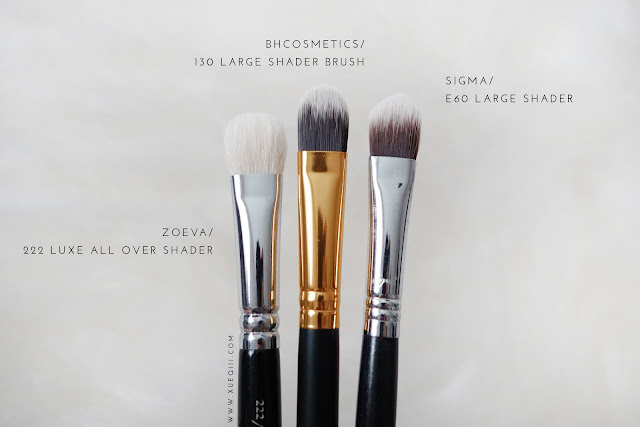 The other 3 has more densely packed bristles - Sigma, Zoeva, Morphe. 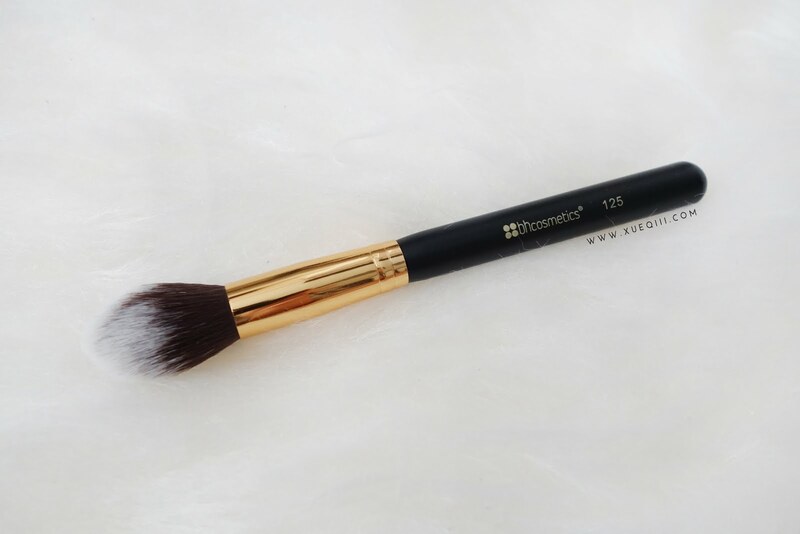 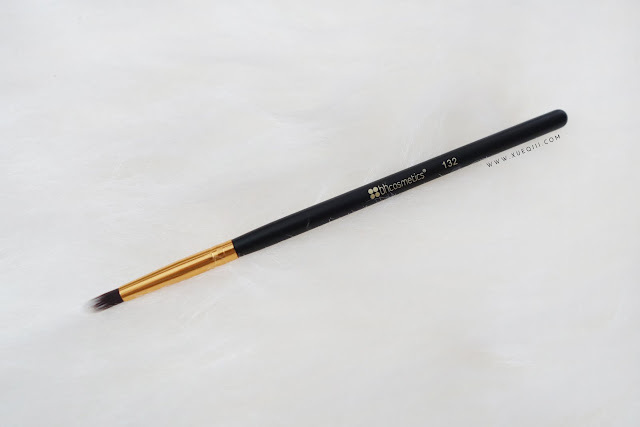 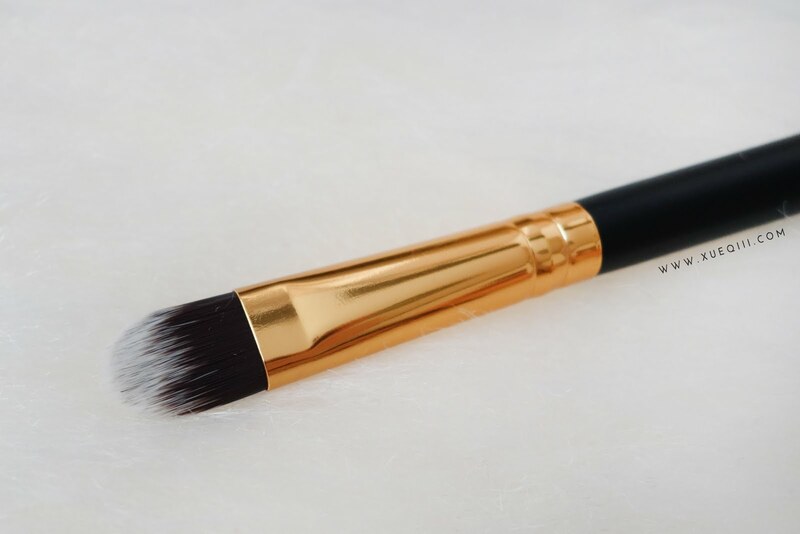 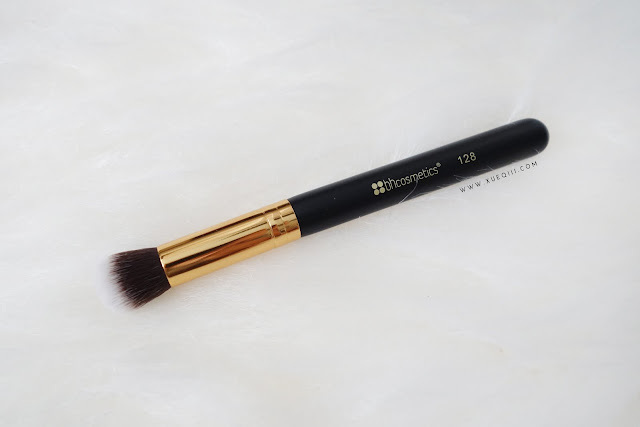 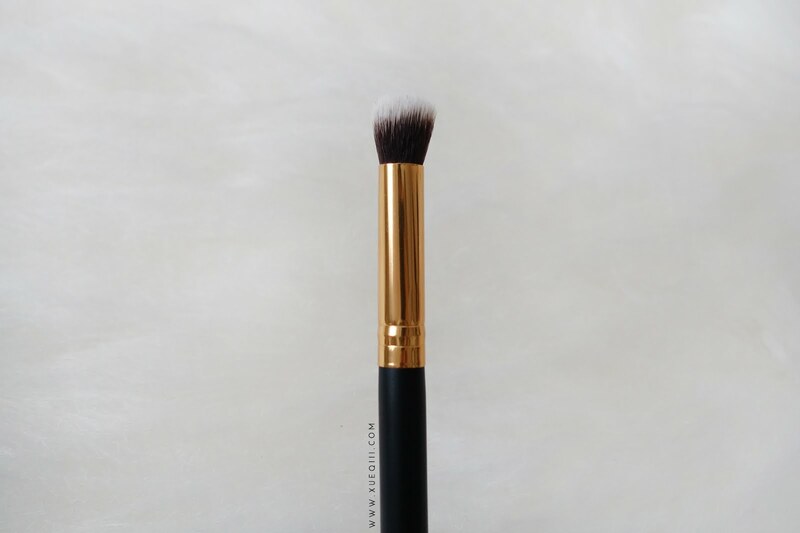 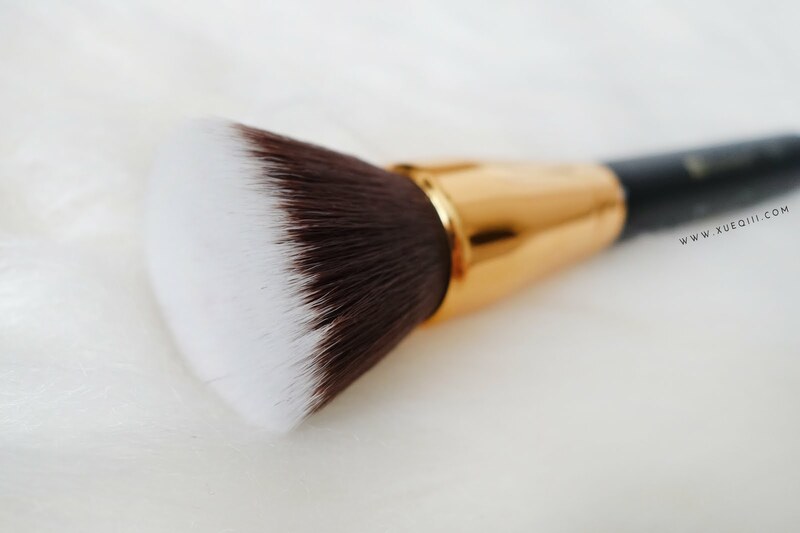 124 Tapered Face Blending Brush is a nicely tapered powder brush. 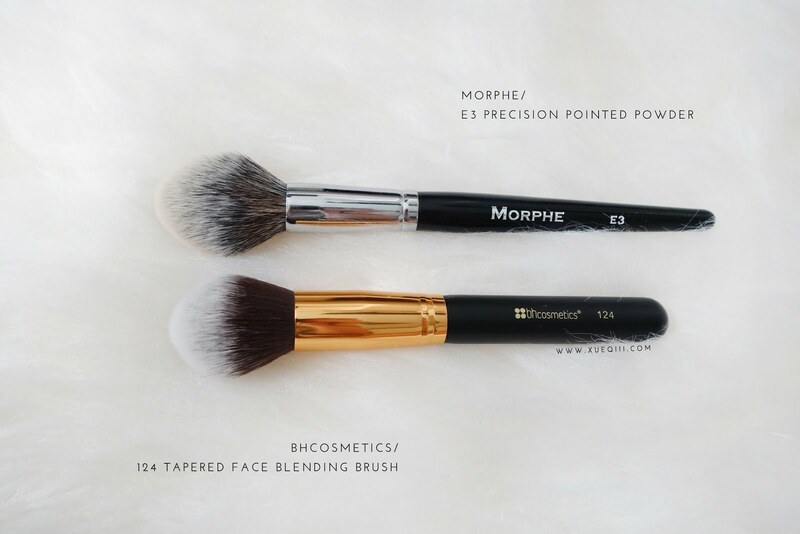 This kinda reminds me of the Morphe E3 and G5. 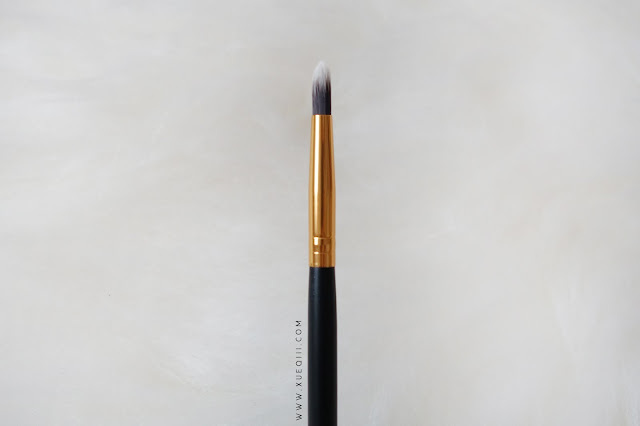 125 Tapered Contour Brush is a small tapered brush perfect for setting the under eyes and around the nose. 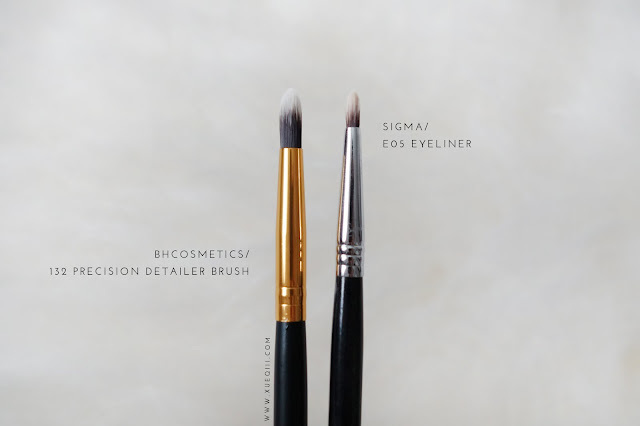 This is a nice dupe for my favourite Sigma F35 that I have been using for many years. 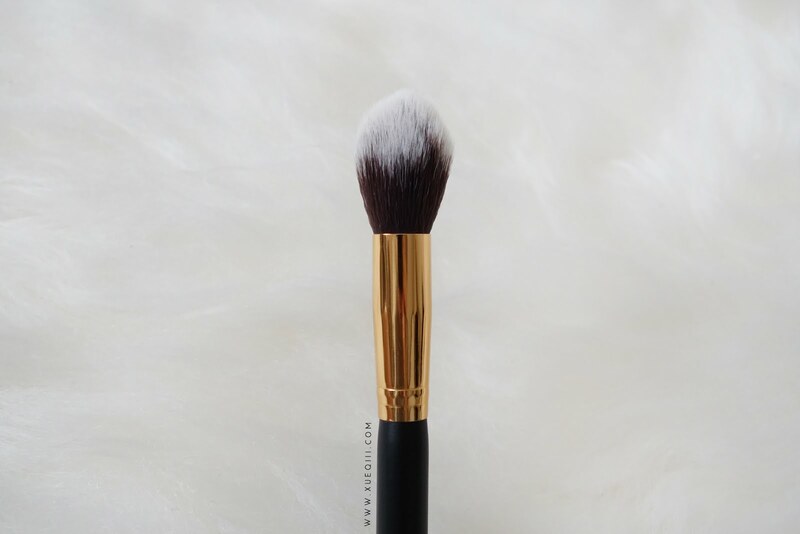 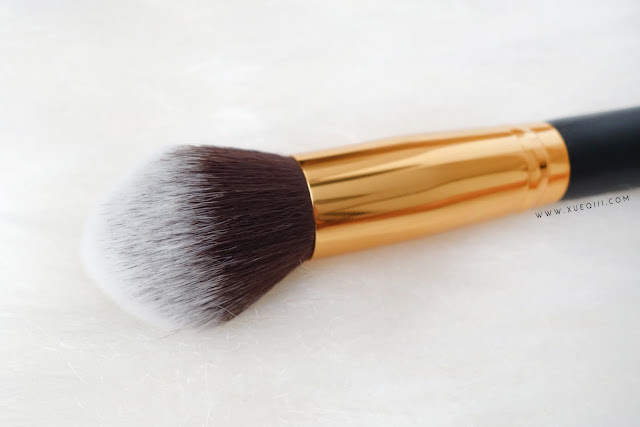 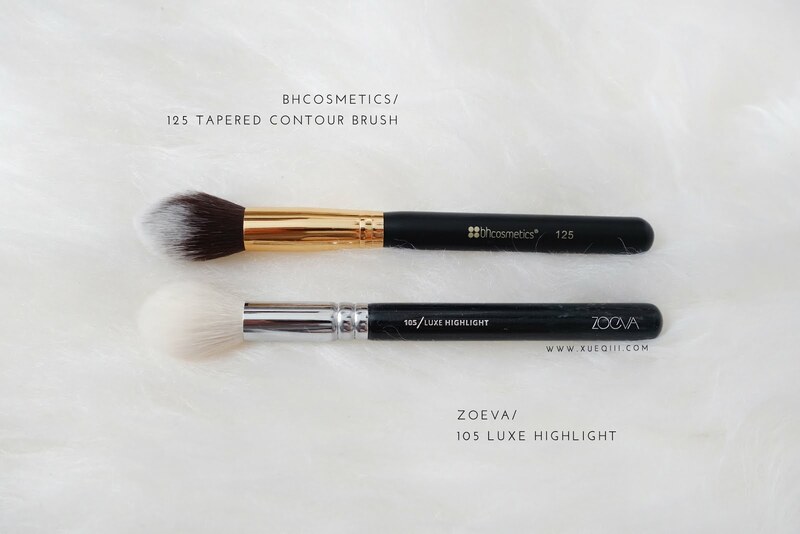 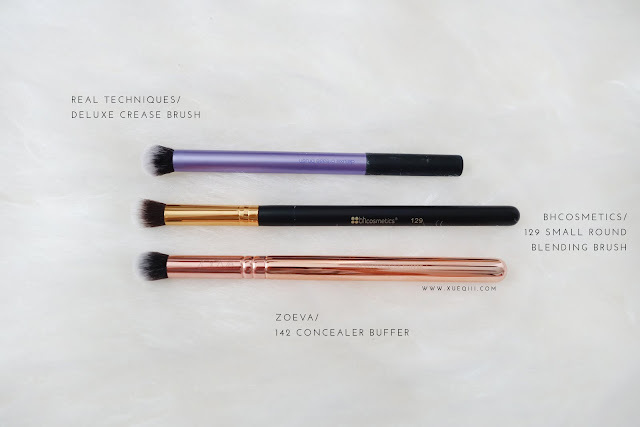 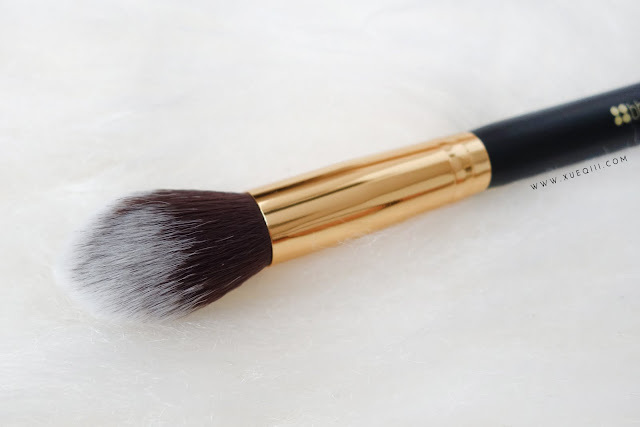 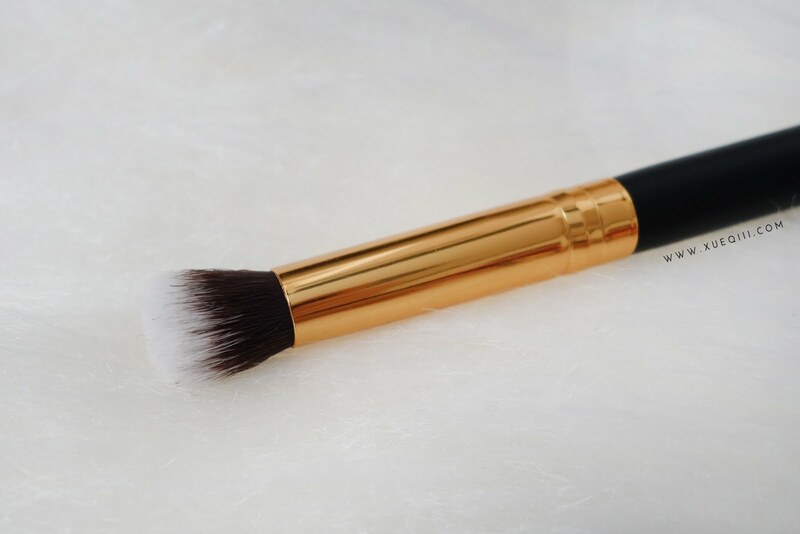 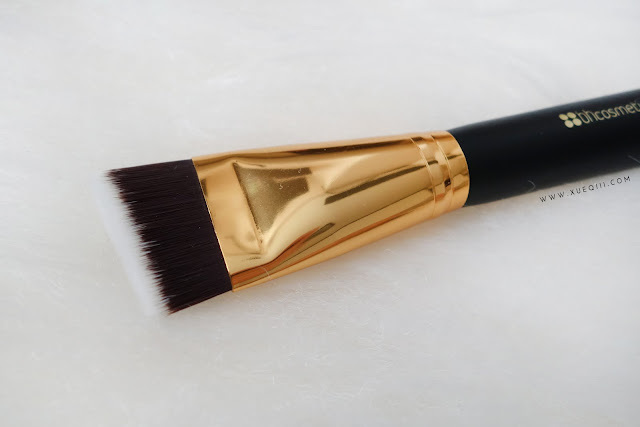 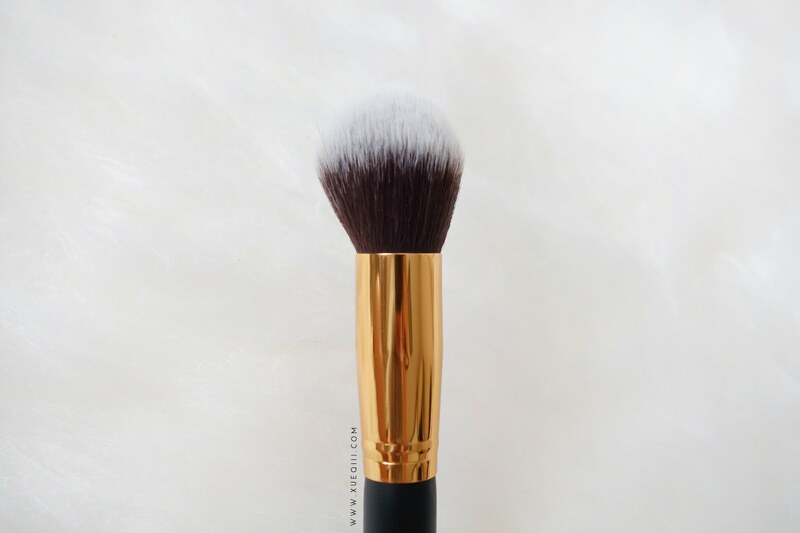 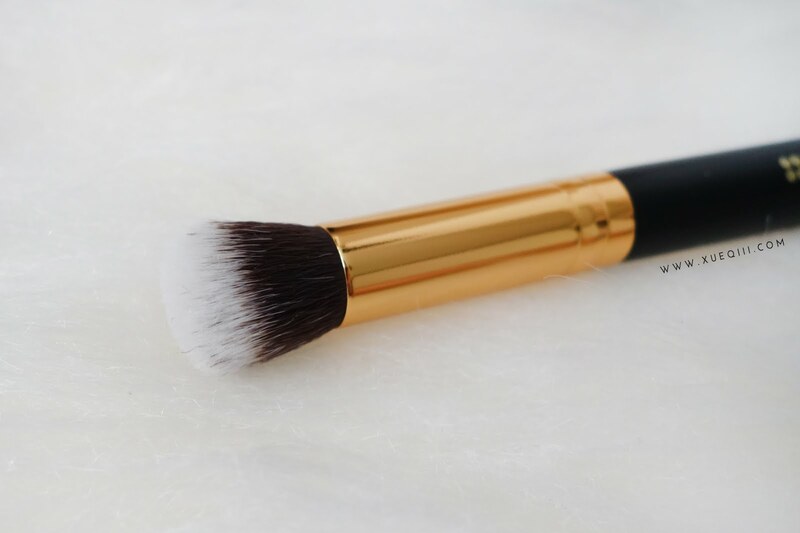 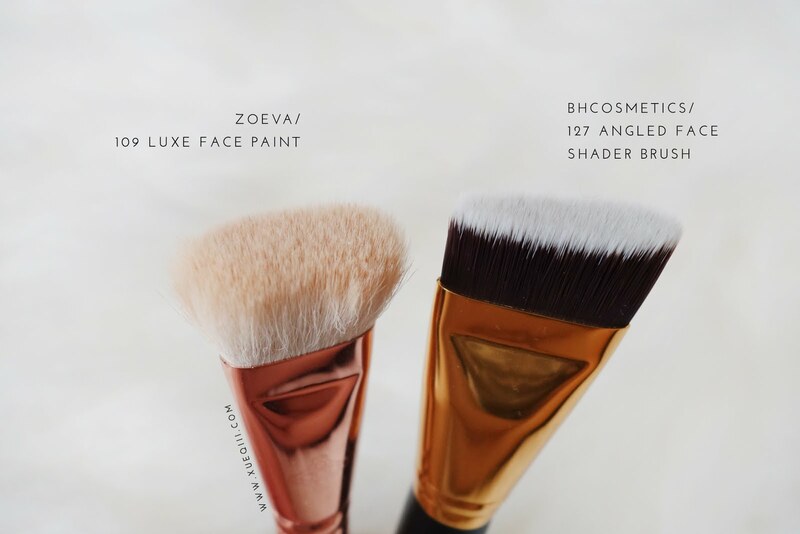 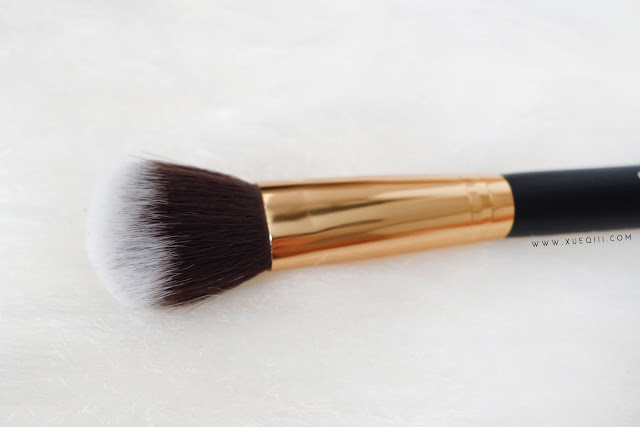 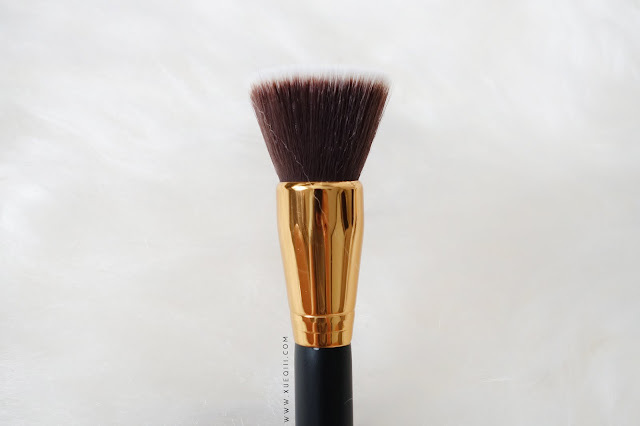 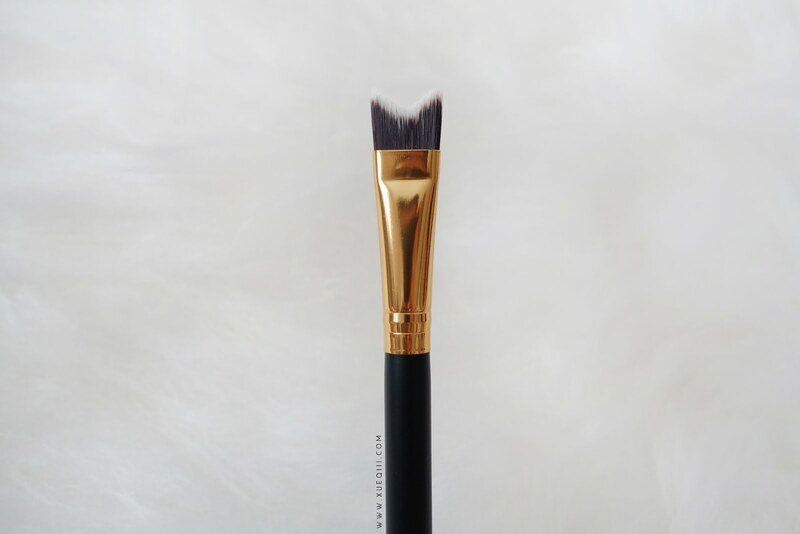 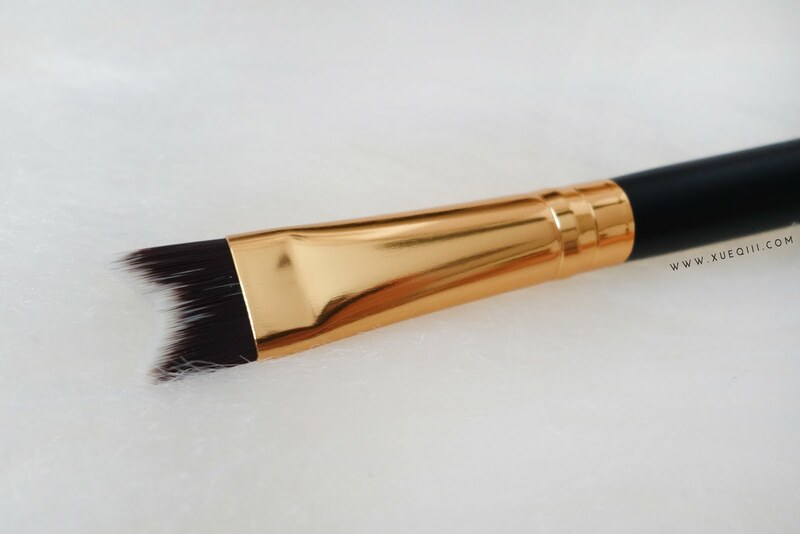 Another similar brush I own is the Zoeva 105 Luxe Highlight. 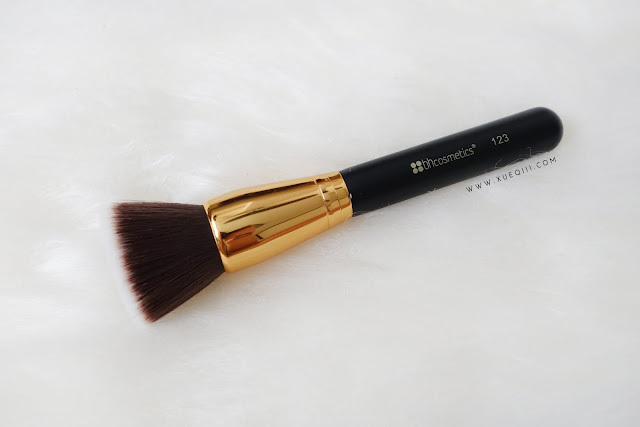 126 Precision Blush Brush has a very nice size that fits perfectly on the apple of my cheeks. 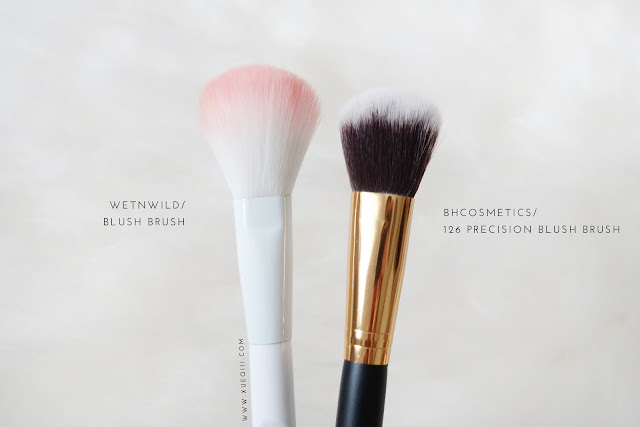 A similar dupe will be the Wet n Wild Blush Brush which I just got recently and have been loving too. 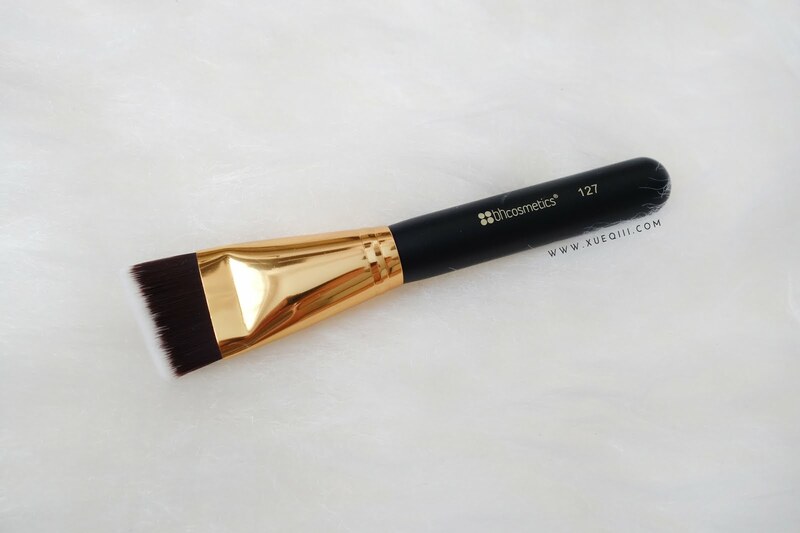 127 Angled Faced Shader Brush is great for placing down a precise contour or also using this to bake the edge of your contour and make it sharper. 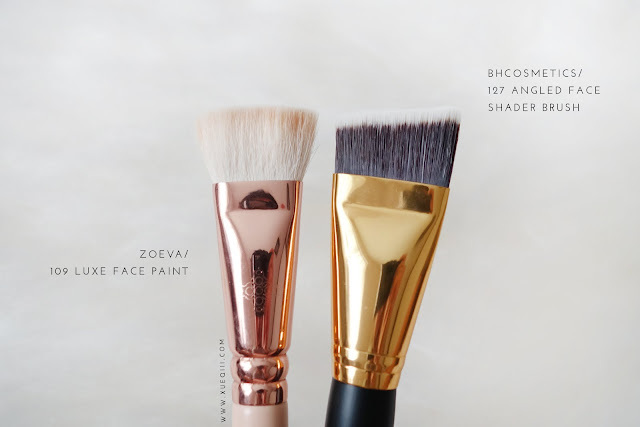 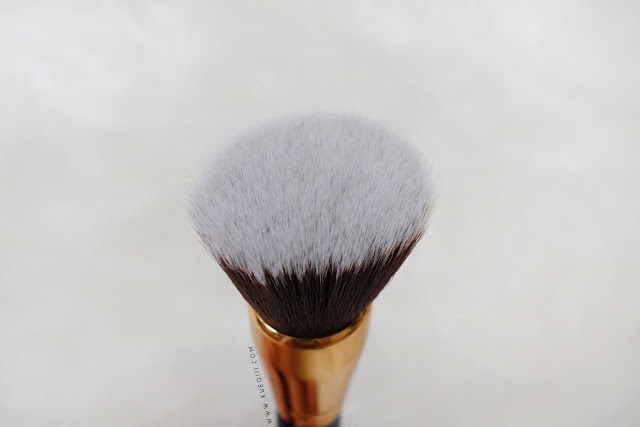 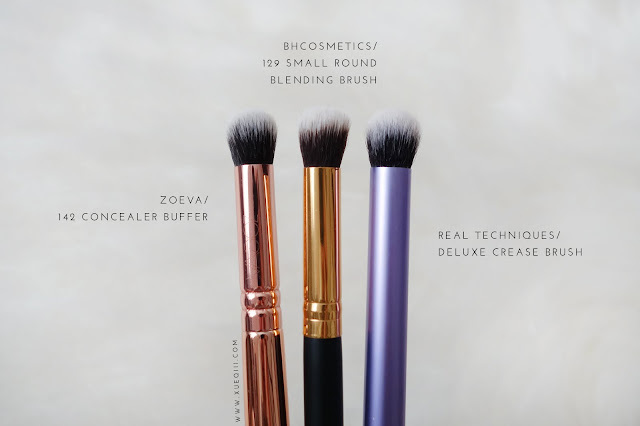 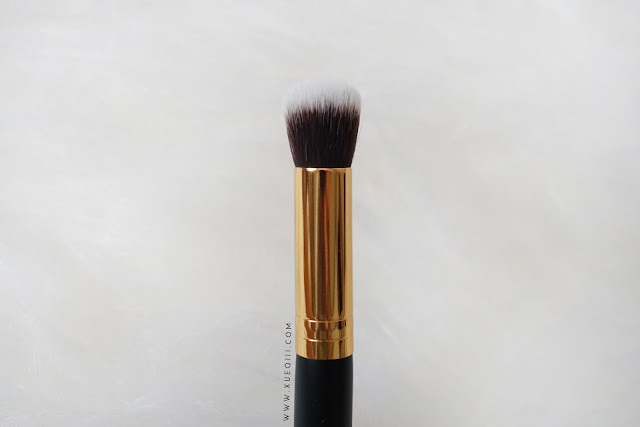 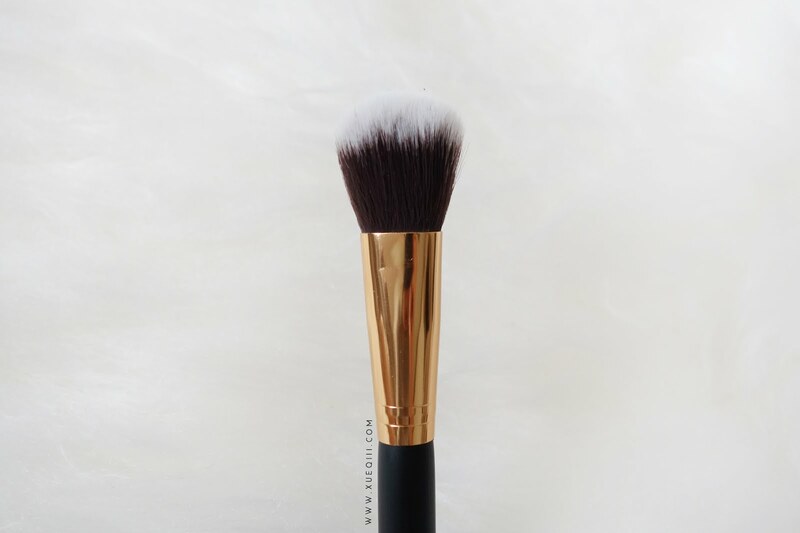 A similar brush is the Zoeva 109 Luxe Face Paint, which is thicker and I use that to apply my creamy Colourpop bronzers. 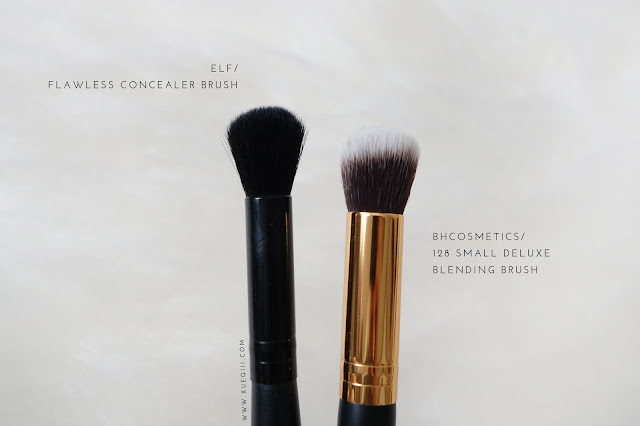 128 Small Deluxe Blending Brush is the perfect size to blend out concealers around the face. 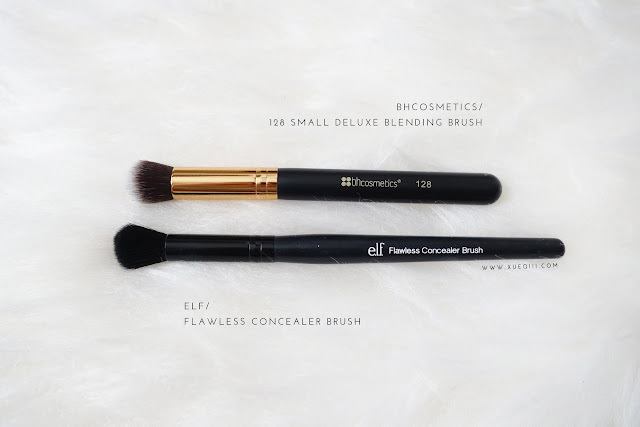 Super similar to the Elf Flawless Concealer Brush. 129 Small Round Blending Brush is a smaller version of 128 and it is a dupe for my Real Techniques Deluxe Crease Brush and Zoeva 142 Concealer Buffer. These kind of brushes are great for spot concealing or blending out eye primers. 130 Large Shader Brush is just a typical shading brush or a concealer brush. 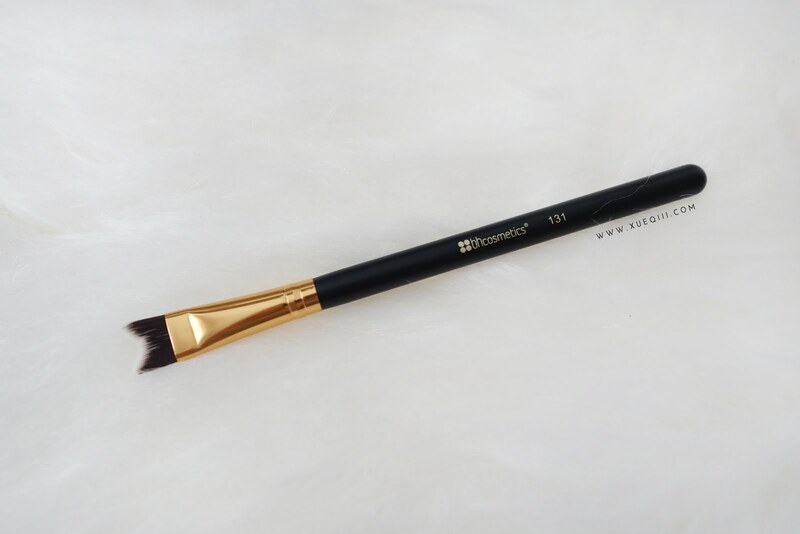 I rarely reach for this type of brush but I do use it to set my eye lids sometimes if the primer or concealer I used is too tacky. Almost identical to Sigma E60 Large Shader. 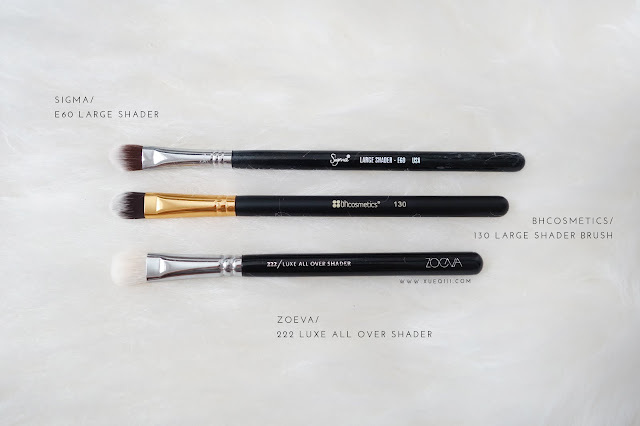 Zoeva 222 Luxe All Over Shader is thicker and bigger overall, which I like. 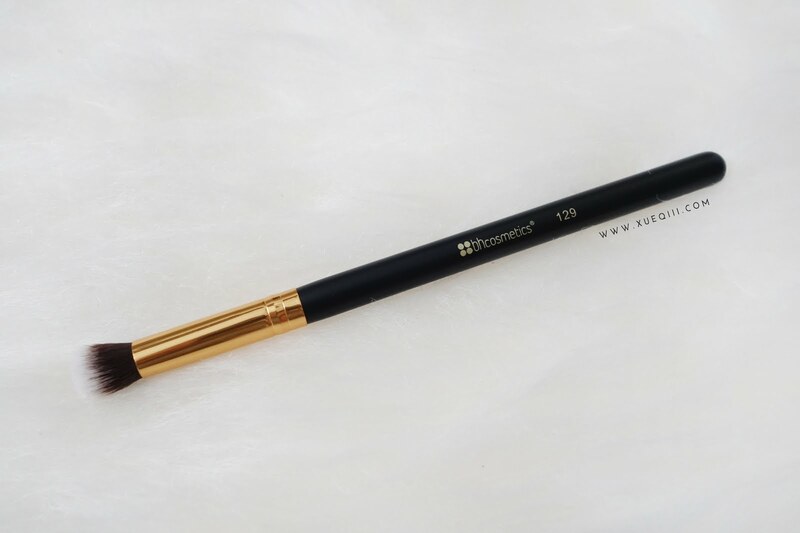 131 Nose Contour Brush is a very unique brush that I have not seen before. 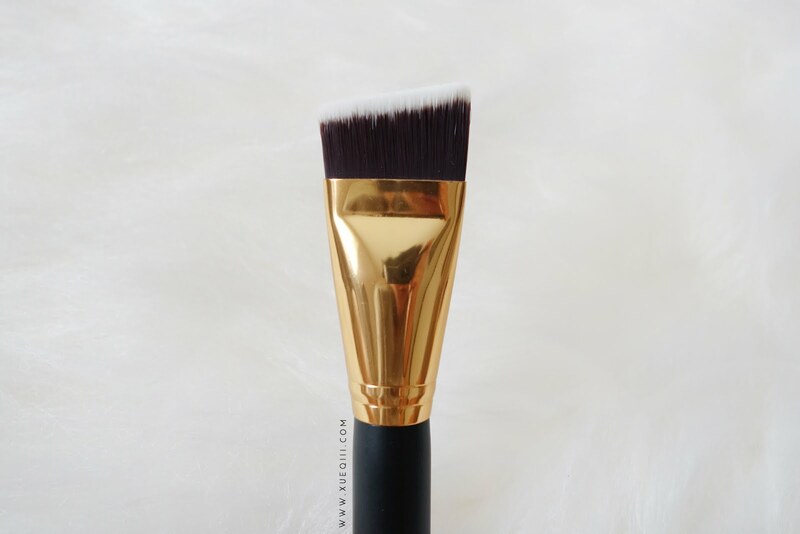 Not quite sure how to use this but I doubt I will reach for this as I do not ever contour my nose. 132 Precision Detailer Brush is a pointed skinny brush that I guess is meant for detailed eye work or I think it will work nicely for spot concealing. 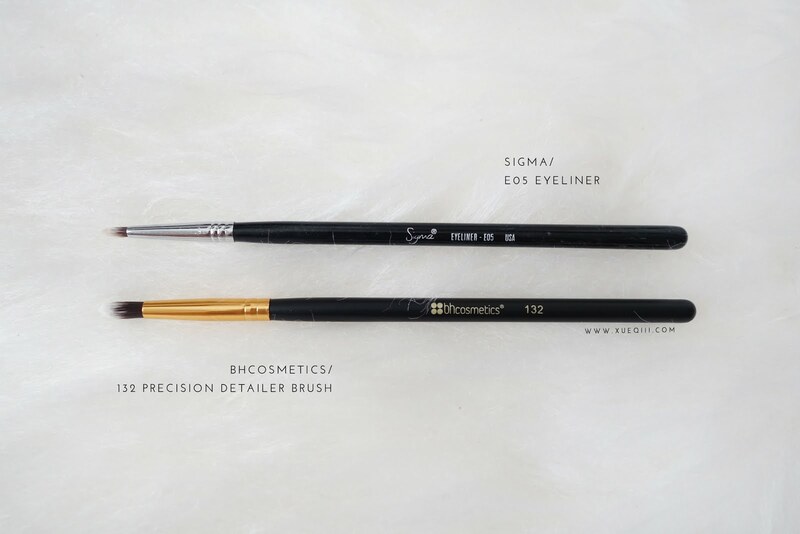 Larger, but similar to the Sigma E05 Eyeliner. 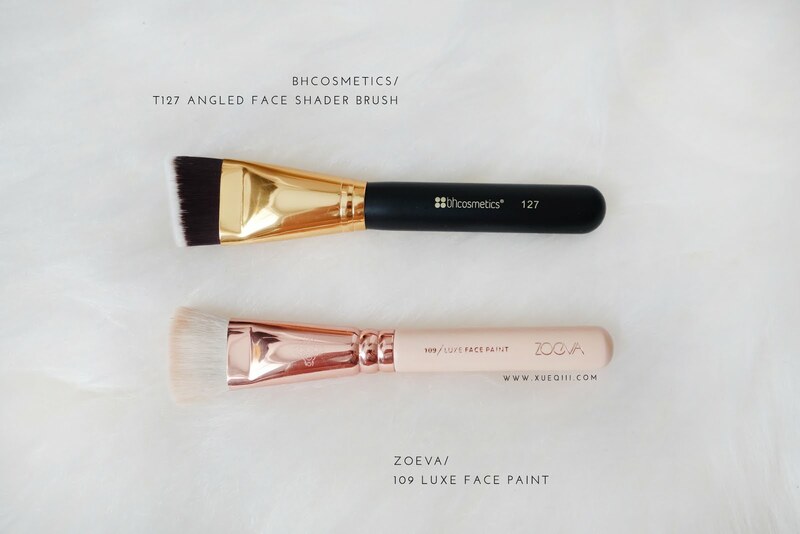 Are you looking for face or eye brushes? 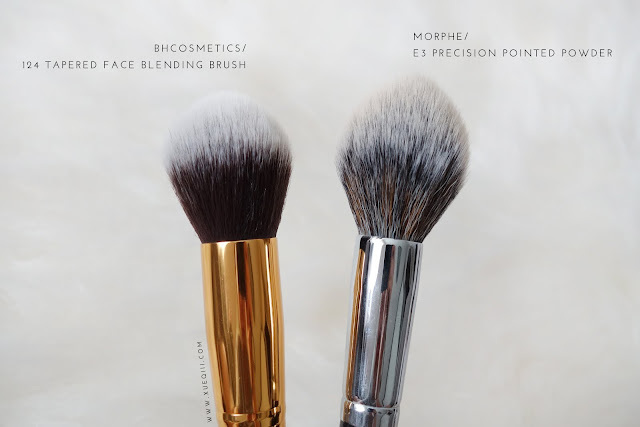 Let me know maybe I can look at my collection and see what to recommend? Anyway, a few of my most use eye brushes are not from the elite collection - I love the MB13 and M433 for blending.